As you may have realized by now, I am getting obsessed with Inglot makeup. A few months ago, a dear friend of mine gave me this two shadow palette from Inglot with these gorgeous two shades 🙂 This was actually a Christmas present which came a little late. I love the Freedom palettes that Inlot offer, they are so unique and so original and modern and the size of the shadows is really amazing. 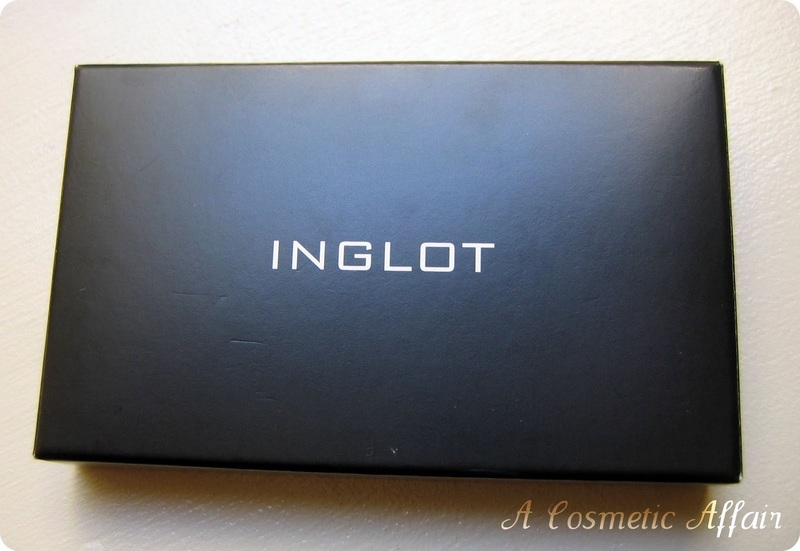 The palette comes in the classy black box with the Inglot logo on it. The palette itself is one from the Freedom System and you get 2.7g/0.10oz for each shadow. The palette makes use of magnets to hold the top lid to the bottom and the shadows are placed in their position through the use of magnets. As you can see the pans are quite large and you get a very decent amount of product in each pan. The shade number/name is found at the bottom of the pan for each shade. To get the pans out you can use the magnet found in the lid, put it slowly next to the pan and it will come up and out of the palette. You can then look and the number/name and put the pan gently back into the palette. 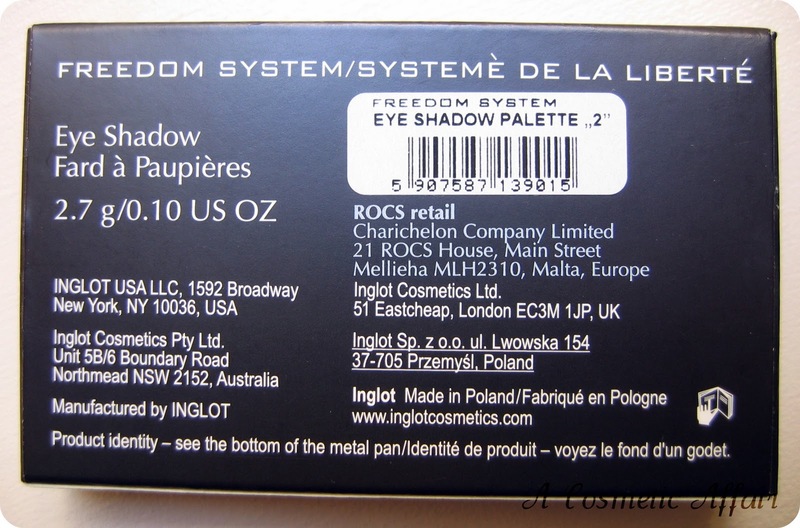 This was a good tip for me, since I got this for a gift and my friend did not know the numbers/names of the shadows. 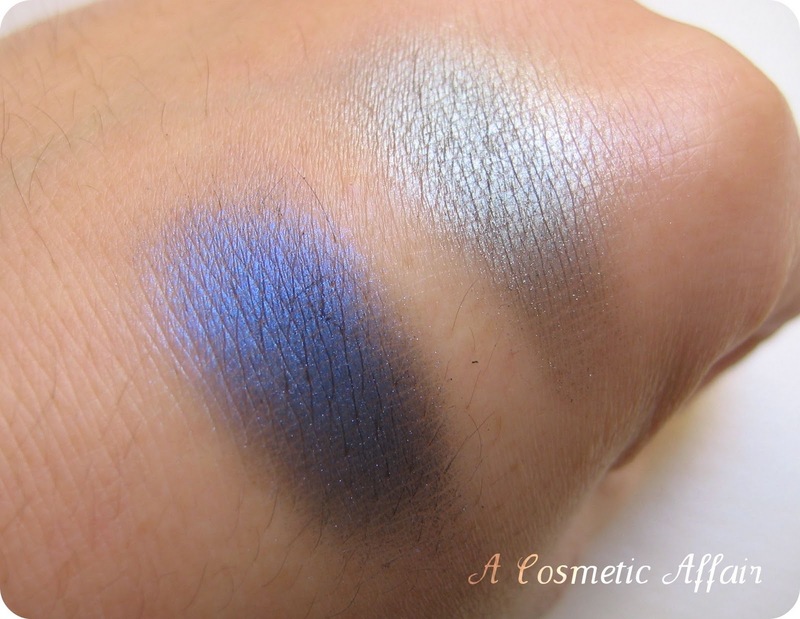 As yo can see from the swatches, the pigmentation of these shadows is really amazing and they are easy to blend and have a metallic sheen finish to them. They are both very vibrant and work amazingly for more dramatic looks or for a bright pop of color to a neutral eye makeup. 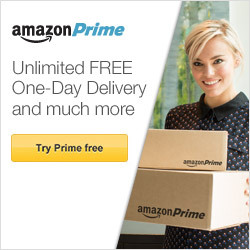 With one swipe you get amazing pigmentation and color pay-off. I was really pleased with these shades as with all products from Inglot. 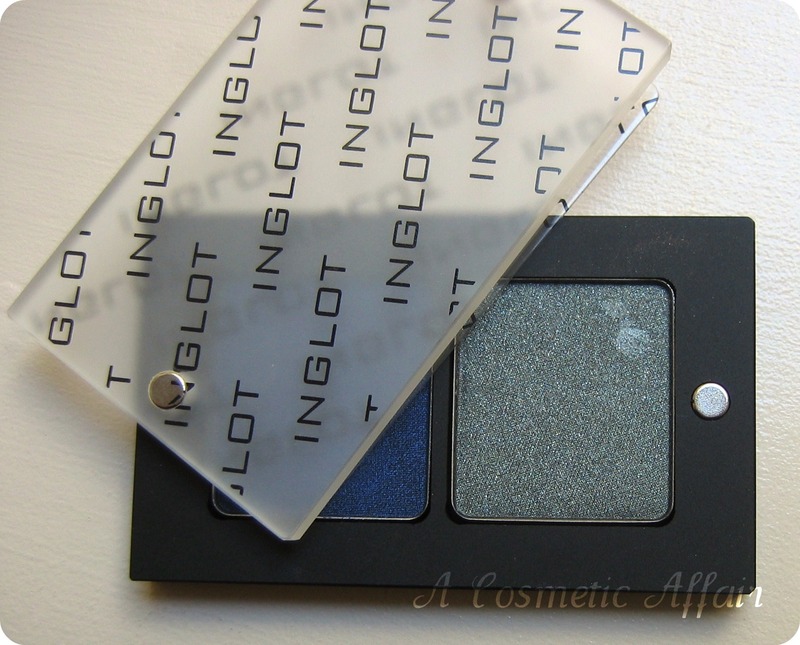 For other Inglot reviews you can check HERE or you can check my Inglot haul. 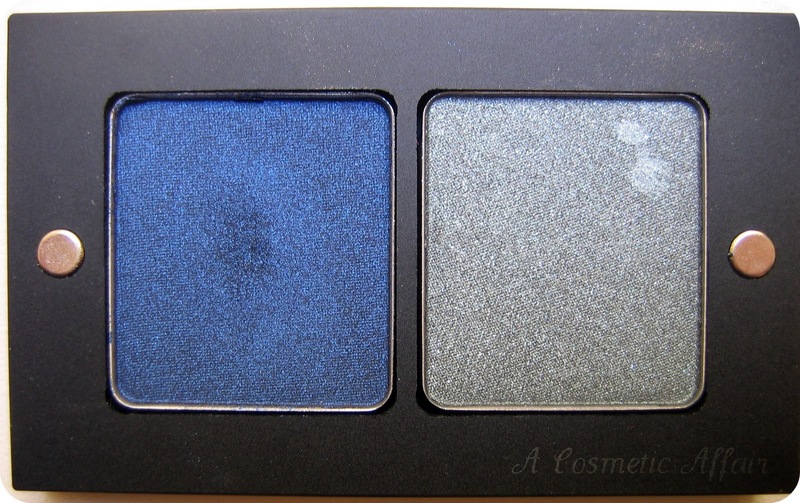 Do you own any shadows from Inglot? What do you think about these shadows? 428 is such a gorgeous shade! I love it! I think I know what I'm getting next time I pop over to Inglot! I don't have an Inglot near me, but I'm traveling to NYC and hopefully I can pick some up! i haven't tried any inglot shadows as they're pretty hard to get hold of in the uk 😦 they always look amazing though! 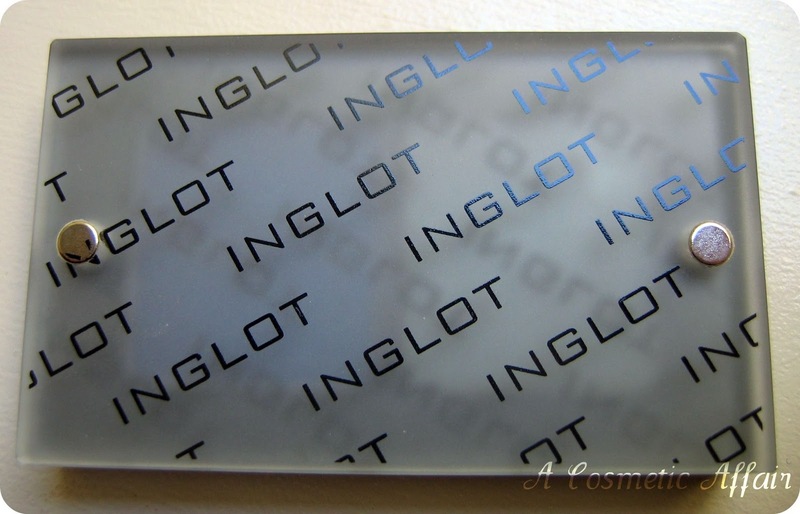 I will try to get some Inglot products this June when I go to the IMATS LA.